Point2 Homes gives you far more than a simple list of houses for sale. Get instant access to a lot of relevant information about Coquitlam, BC real estate, including property descriptions, virtual tours, maps and photos. The search results pages also have a wealth of information on Coquitlam, BC, if you scroll all the way down. There are 532 houses for sale in Coquitlam, BC. 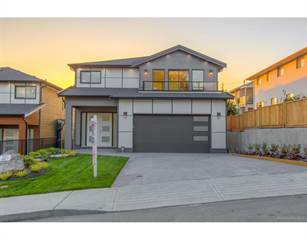 Searching homes for sale in Coquitlam, BC has never been more convenient. With Point2 Homes, you can easily browse through Coquitlam, BC single family homes for sale, townhomes, condos and commercial properties, and quickly get a general perspective of the real estate prices. Also, you’ll never miss a bargain if you filter listings based on house price drops in the past six months. Use the map view to find Coquitlam, BC homes and apartments for sale, based on amenities or city features that you may want close by. You can close in on a specific neighbourhood or area by simply drawing around them with the polygon or radius tools. Stay informed about the latest entries on the real estate market by saving your searches. This way, you get new listings in your inbox, daily or every week, based on your preferences. If you’d like to get in touch with a professional, agents are displayed next to their listings, and they’re easy to contact through the online forms. If you want more options, you can click the Tools tab and Find an Agent, and you’ll get a list of helpful and knowledgeable real estate agents in Coquitlam, BC. Visit the Point2 Homes blog and you can find up to date expert advice on many markets throughout Canada, regular market reports, neighbourhood scoops in cities throughout the provinces, real estate deals and useful recommendations. Coquitlam is a suburban city in the Lower Mainland of British Columbia. It became a city in 1992, and it has grown to a population of over 140,000 people, stretching over 122.3 square kilometres. It has experienced a growth rate of 10.7% since 2006, making it the sixth largest city in the province. Coquitlam is one area that is part of the Tri-Cities, along with Port Coquitlam and Port Moody. It is a very diverse area, with about 42% of its residents being immigrants. Some of the main industries in Coquitlam are the film sector, home-based business and manufacturing. Each of these industries plays a large part in the economic growth of Coquitlam. Home-based business is similar to that of British Columbia in that 98% of these businesses are small businesses. Coquitlam is one of the fastest growing communities in the province, and therefore they have been working hard to create more and more jobs for their residents. That is one of the goals that Coquitlam has. Coquitlam’s Economic Action Plan highlights many of the goals they have such as supporting business success and building on cultural diversity to create trade and investment opportunities. Another goal they have is to capitalize on transportation infrastructure to create new business opportunities. With these goals, Coquitlam has a solid plan to boost their economic development even further. Coquitlam has a wide array of activities for all residents to enjoy. From festivals to sightseeing and restaurants, there is something for everyone. Coquitlam has many attractions that are perfect for the whole family. Places like Crash Crawly’s provides laser tag, glow-in-the-dark mini golf and a remote control car track for children to enjoy. Coquitlam also offers many indoor and outdoor swimming facilities for the whole family to cool down on hot summer days. For children who love the arts, Place des Arts is the place to learn and grow in music, visual arts and more. For the lover of the outdoors, there is plenty of opportunities to get out and about in nature. Coquitlam offers everything from biking, hiking and more. There are parks that have quaint, scenic trails that are perfect for a quiet walk or jog. Others have many activities for anyone who loves sports. 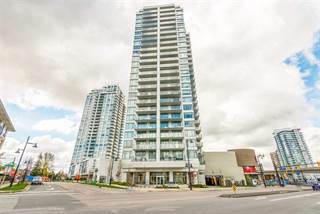 There are many opportunities for shopping and dining in Coquitlam as well. The Coquitlam Centre located downtown is a mall that provides a variety of stores to fulfil your shopping experience. As for dining, Coquitlam has many different types of restaurants. Here you have a choice of dining in smaller or larger restaurants, depending on what you desire. There are four main areas that make up Coquitlam. These areas are Southwest Coquitlam, Northwest Coquitlam, Northeast Coquitlam and City Center. Each area has it’s own unique neighbourhoods that add to Coquitlam’s culture. City Centre is the heart of Coquitlam. It is considered as downtown and has attractions like the Coquitlam Centre and a public library. There are many pubs and bars within the downtown area that are culturally diverse. No matter what your taste may be, there is a restaurant you will love. Northwest Coquitlam includes the areas of Westwood Plateau, Eagle Mountain and David Avenue. There are many parks in this area as well due to its more spacious surroundings. Many houses are in this area, as well as a golf course. Northeast Coquitlam includes Partington Creek, Upper Hyde Creek, Lower Hyde Creek, and Smiling Creek. Northeast Coquitlam is developing into an area that will provide more types of housing to accommodate the growing population. They are also working towards a village type area to compliment the housing. Southwest Coquitlam is made up of the neighbourhoods of Austin Heights, Waterfront Village Centre, Burquitlam, Lougheed, and Maillardville. In this area, there is an abundance of parks including Coquitlam’s largest park: Mundy Park. Austin Heights features a commercial area in the middle of the neighbourhood where a variety of different businesses thrive. Waterfront Village Centre sits along the Frasier River and houses part of the Trans Canada Trail. Burquitlam serves as another commercial district for this area and contains Burquitlam Plaza, which features shopping and is along the border of Coquitlam and Burnaby. 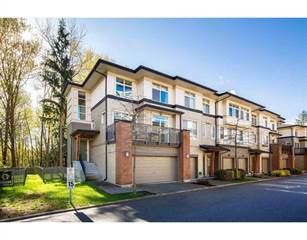 Coquitlam offers many different styles of housing so that everyone can find their perfect house. They have a “Housing Affordability Strategy”, which works with other sectors to offer many different housing options with affordable prices. In Southwest Coquitlam, there are single-family and multi-family homes and apartments. There are also townhouses and condominiums here. Additionally, it offers larger lots for people looking for additional space. In Northwest Coquitlam, there is again an abundance of single-family homes, but there are also apartments offered closer to downtown. The single-family homes are placed on beautiful lots that feel like you are immersed in the surrounding nature. Areas like Westwood Plateau offer affordable options compared to other areas. The majority of homes here are owned, with minimal rentals. This could be due to the high-class neighbourhood of Westwood Plateau. In Northeast Coquitlam, there is a choice of living in urban or rural settings. Most of the community is comprised of single-family homes, but there are plans for more development in the future. The properties also tend to be newer. More homes are owned than rented here and they are younger homes, due to the development that is happening in this area. The growing population of this area strengthens the demands for development here. School District No. 43 covers Coquitlam in regards to schooling. There are 45 schools that serve kindergarten to grade 5, 14 schools that serve grades 6 to 8, and 11 schools that serve grades 9 to 12. Coquitlam boasts a 10% enrollment in French Immersion, one of the highest rates in the province, presumably due to also having one of the strongest language programs in the province. As for post-secondary institutions, Coquitlam is home to some reputable colleges and universities. Concordia International College and Coquitlam College can both be found here.